Microgaming’s Thunderstruck slot was such a big success that when they announced they will release its sequel, players went crazy. The expectations were huge regarding this slot machine and the software provider met them all and developed a game that’s even better than people expected. Based on the story of Gods and ancient mythology, the slot attracted punters from all over the world like a magnet. 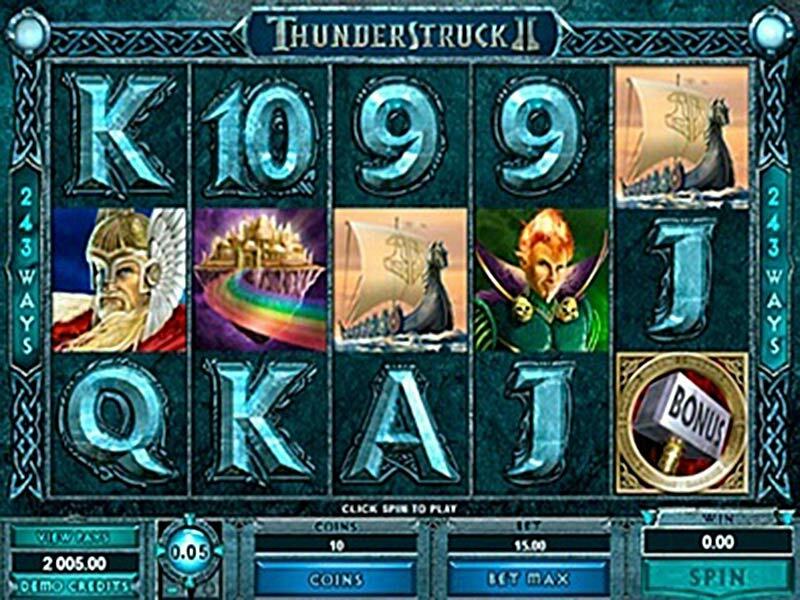 Microgaming never disappointed when it came to graphics and they did an awesome job designing the visual elements of both Thunderstruck slot machine and its sequel. This second version of the popular game uses high-definition graphics that make it look like a top-of-the-notch video game you can play on a console. With such amazing graphics, it would be a shame if Thunderstruck 2 slot had boring sound effects but it is not the case. The sound scheme includes a dramatic background song, some exciting tunes that play when you win a round and lots of other acoustic elements that pair perfectly with the visuals. Before you play Thunderstruck II, you should know that this casino game uses a 5x3 grid with a 243 ways to win system, meaning that there are lots of winning chances for those who spin its reels. While you cannot adjust the number of paylines, the slot lets you adjust the coin denomination and the bet per round, so you decide how much you wager. There’s no autoplay option available, unfortunately, so if you don’t like to press the spin button before every round, you have no other choice. This seems to be the only downside of Thunderstruck 2 slot but you won’t care too much about it when you’ll see the bonus rounds. Placing at least three scatters on a winning line triggers a free spins round which can be adjusted differently, depending on the character you play with. 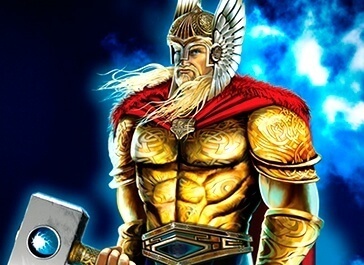 Valkyrie, Loki, Odin, and Thor can offer you different types of prizes during this feature. Overall, Thunderstruck II slot is a really good casino game and those who liked the first version will definitely love this sequel. With impressive graphics that pair well with authentic sounds, an enjoyable gameplay and lots of bonus rounds, this slot looks like your next favourite game of luck!